The dosage is per cubic foot of resin. Most residential softeners are a cubic foot of resin. To make sure, contact the water treatment dealer that did the installation. If you installed it yourself, that information should be in the maintenance and care manual that came with the softener. The ResCare is added to the brine well, which is the smaller 4 inch tube inside the brine, or salt, tank. Please let us know if you have more questions. Have a great day. 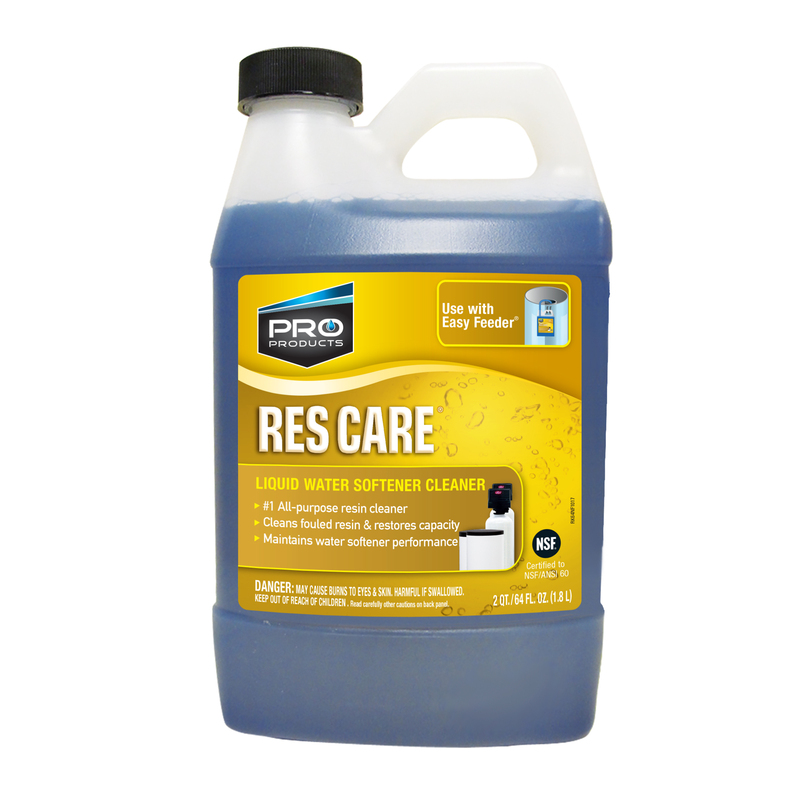 Does ResCare or Sani-System affect the performance of a septic systems enzymes and bacteria? 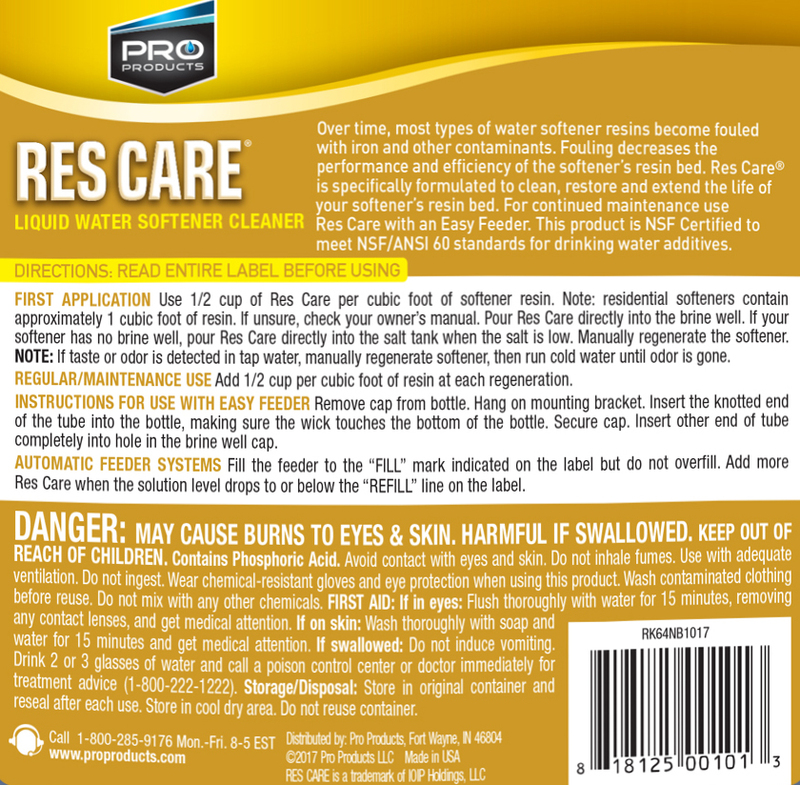 Both Res Care and Sani-System are absolutely safe for septic. We always remind our customers to be sure to follow the label directions. Please let us know if you have any other questions.